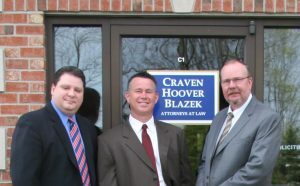 Common Carrier Accidents and Liability | Craven, Hoover, & Blazek P.C. When we choose to fly or take a Greyhound bus, we place our trust in the pilots, engineers, drivers, and even manufacturers, to get us there safely and in a timely-manner. But sometimes, common carriers experience problems that can lead to serious accidents and injuries. The term “common carrier” refers to any entity that provides transportation services for the public. 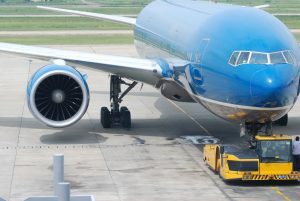 Examples of common carriers include commercial airlines, public buses, tour buses, cruise ships, and more. In the case of an accident, common carriers are held to a more stringent duty of care in comparison to private carriers. So when common carrier accidents do occur, such cases are taken very seriously and investigated thoroughly. 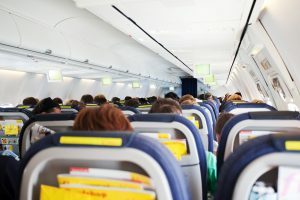 Continue reading to learn more about common carrier liability, and who to contact for more information regarding the laws surrounding aviation and public transportation accidents. Regulatory bodies that set standards for safety and other types of concerns are the authorities that govern common carriers. For example, the governing regulatory body for commercial airlines is the Federal Aviation Administration (FFA). In terms of safety, these standards obligate common carriers to utilize the highest degree of diligence and care for the sake of their passengers and cargoes. And when common carriers fail to adhere to such regulations, they can be held legally responsible for any damages and losses suffered by those affected by their negligence. There is a legal theory called “strict liability” that essentially holds people or entities responsible for injuries and subsequent damages regardless of fault. But when it comes to common carrier lawsuits, strict liability does not apply. When a victim chooses to file a common carrier injury lawsuit, they hold the burden of proving the common carrier’s fault in the accident. In order to prove fault, victims must be able to prove that the common carrier had a duty of care and breached that duty of care, and that the breach of care directly caused their injuries, which caused other damages and losses. Using evidence to show a common carrier’s breach of duty is the strongest method for winning an injury settlement. Viable evidence can include pictures, videos, witness testimony, inspection records, maintenance logs, and more. An experienced personal injury lawyer can help victims of common carrier accidents collect and organize all details and evidences pertaining to their case, and look for certain regulations that the common carrier may have directly neglected, which caused your injuries. This is called “negligence per se” and is a common legal strategy used by accident attorneys to prove injury cases. Be sure to trust only experienced personal injury law firm to recover the full and fair amount of compensation you deserve after being injured in a common carrier accident. This entry was posted in Personal Injury and tagged bus accident lawyer, common carrier accidents, Common Carrier Liability, cruise ship accident lawyer, Indianapolis accident lawyer. Bookmark the permalink.